The Museum Studies Program at Juniata faces little competition within the state, within the Mid-Atlantic region, or within the nation. There are only approximately twelve undergraduate institutions that grant degrees in Museum Studies and approximately thirty certificate programs (undergraduate and graduate combined) nationwide. The development of our program occurs at a timely phase. As the museum profession continues to develop since its rapid growth over the last three decades, the need for quality undergraduate training in museum studies remains strong. However, with such little competition at the undergraduate level, Juniata Museum Studies graduates have exceptional opportunity to enter and do exceptional work at the nation's leading graduate museum studies programs. Since its beginnings in 1996, Juniata Museum Studies graduates experience 100% placement in graduate school, with particularly strong success at George Washington University, one of the leading graduate programs in Museum Studies. The Museum Studies Core Faculty has considerable experience in both the academic and museum world and therefore has the ability to advise students through the collateral degree path that is part of museum studies training. 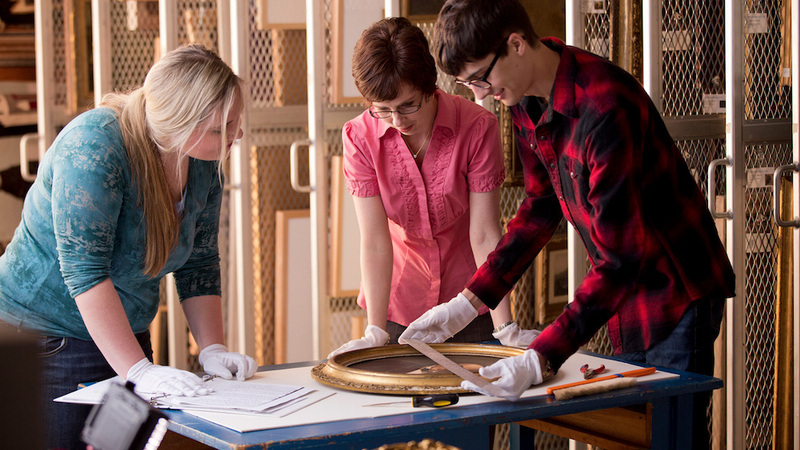 The flexible nature of Juniata's POE system enables students to design a program of study that combines the methods and practices of the museum profession with their choice of discipline (e.g. fine arts, anthropology, history, business). This flexibility is essential to their application to graduate schools because most graduate Museum Studies programs are part of other academic departments (e.g. fine arts, anthropology, history), and students must be accepted into an academic department before they can pursue course work in museum studies.